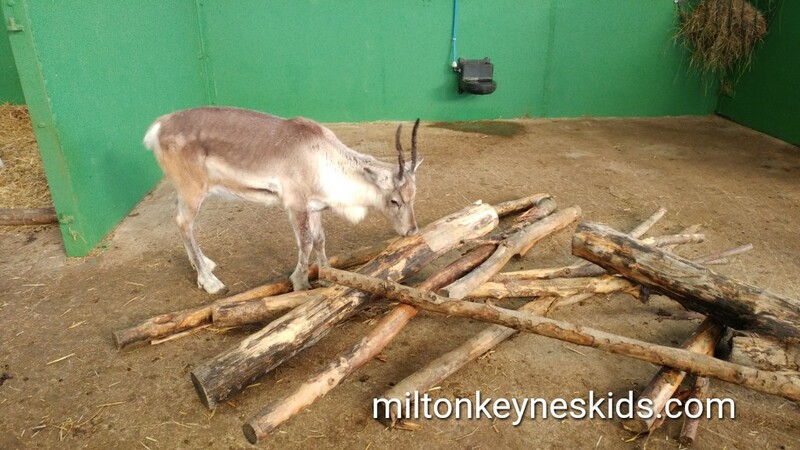 Green Dragon Eco Farm is located in Buckinghamshire around 40 minutes from Milton Keynes – depending on where you live. I’d describe is as a mid-price farm – not quite as cheap as Rookery in Northamptonshire – but not as expensive as Mead Open Farm or Willows Farm. At a cost of £30 for two adults and two children when we visited, It’s somewhere that we might visit a couple of times a year. 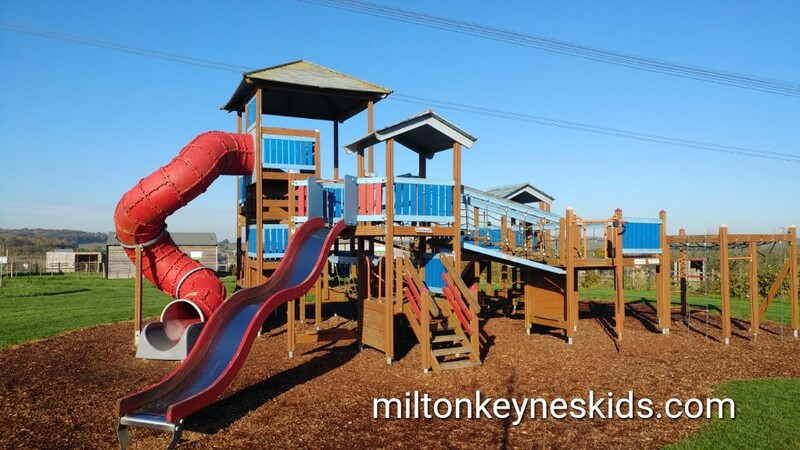 It has lots of fun play equipment for children as well as lots of animals and open spaces too – more than enough to keep them occupied for a day out. Watch our video below and then scroll down for more information. What’s outside at Green Dragon Eco Farm? I took my two year old for a morning out on a quiet Monday in November for our latest visit. It was great! 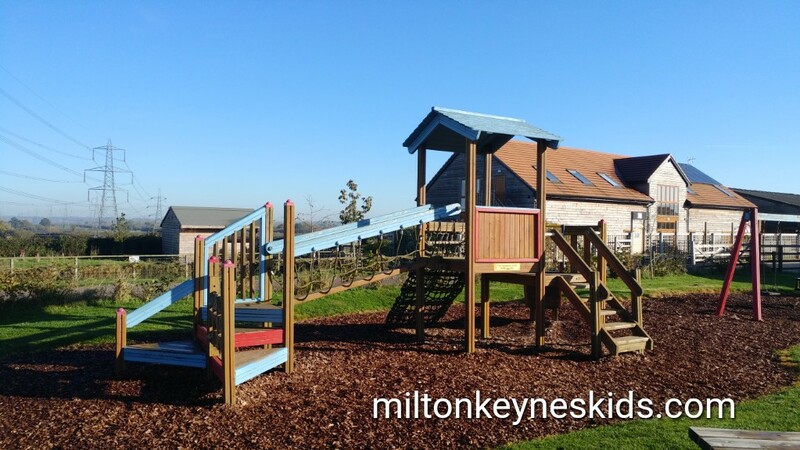 There’s a fab climbing frame which I’d say is better suited to kids aged three and above – my toddler said it was too big for him, but his older brother (aged four) has previously loved it. We had the big bouncy pillow to ourselves. At this time of year it was a bit wet around the edges so we had to be careful where we stepped, and the sand around it was a bit damp. There’s also a smaller climbing frame as well as a sand pit. Again the sand was a bit damp – so it’d probably be more enjoyable in the summer. My 2 year old LOVED the ride-on motorbikes – in fact he’s at that age where that could have been the only activity there and he would have been quite happy. There are also go-karts for older children. 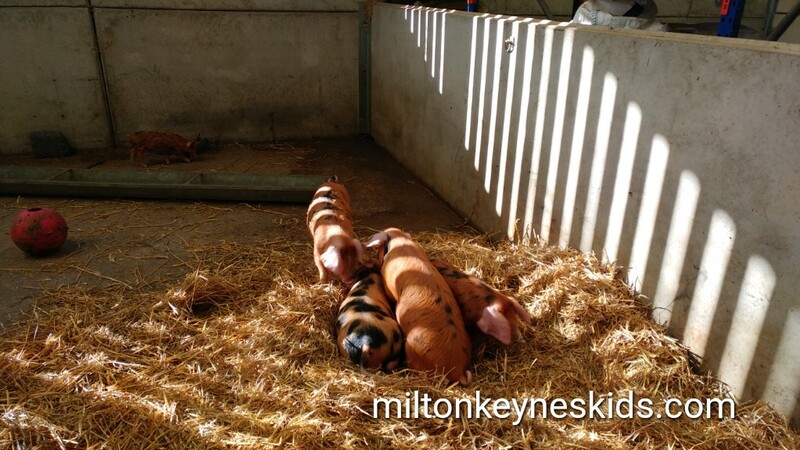 There are plenty of animals to see in a field, barn and small indoor area. When we went we saw ponies, sheep, rabbits, guinea pigs, goats amongst others. You can also buy animal feed when you arrive. Because we went in November there were two reindeer there as well which were lovely to see. And sessions are run throughout the day for you to meet the animals – my 2 year old got to brush one of the ponies. What happens if it rains at Green Dragon Eco Farm? There are two indoor areas. 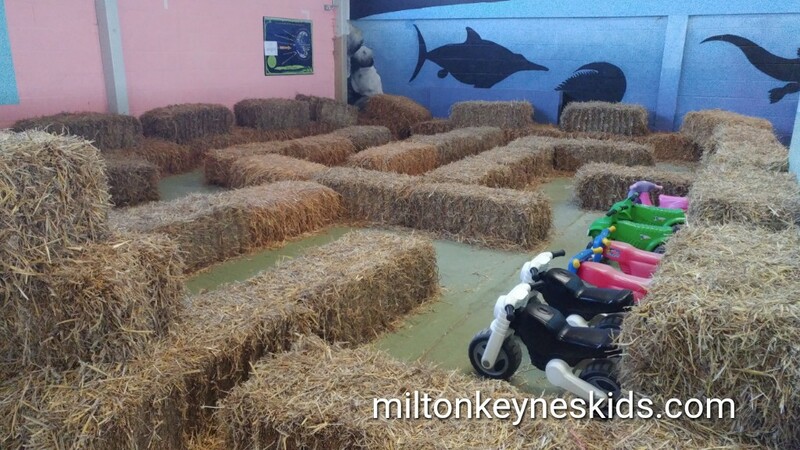 One has got some sandpits in as well as some more ride-ons that children can go on around some straw bales. You can also picnic in there. 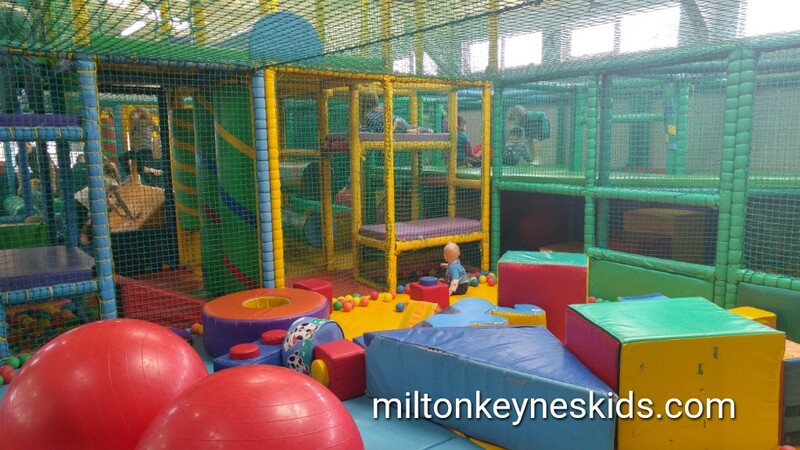 The other is much bigger and has its own soft play. It’s separated in to two sides, a smaller one for babies and young toddlers and the other for slightly bigger children. It’s not a huge frame but is big enough to keep kids entertained for a while. It’s set within the cafe. Where is Green Dragon Eco Farm and how much does it cost? The address is Claydon Road, Hogshaw MK18 3LA. The price when we visited in Nov 2017 was £8 for adults, £7 for children and under 2s were free. Do check their website for up to date details and opening days and times. 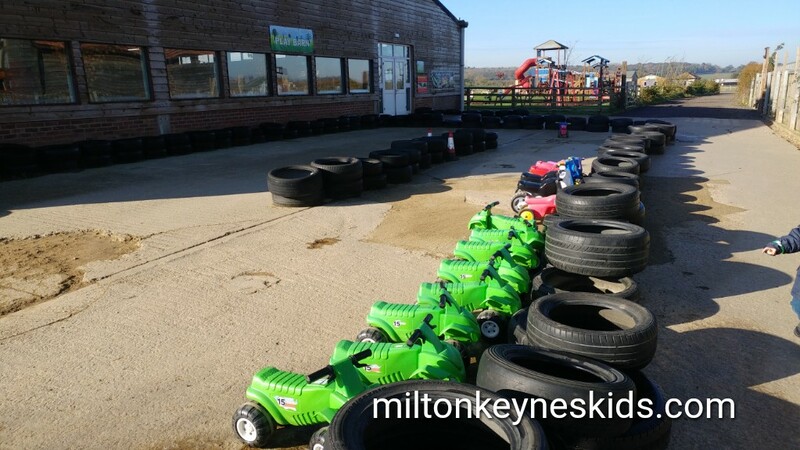 It took us about 40 mins from where we live in Milton Keynes and felt like a slow journey – you really are driving into the countryside so we got stuck behind several farm vehicles. But once there it’s a very peaceful place and you feel like you’ve got away from it all. I’d say the price is just about right for what you get there. Any tips for enjoying Green Dragon Eco Farm? Like many of the places I feature, if you have young children it’s definitely worth visiting on a weekday during term-time as it’ll be much quieter. 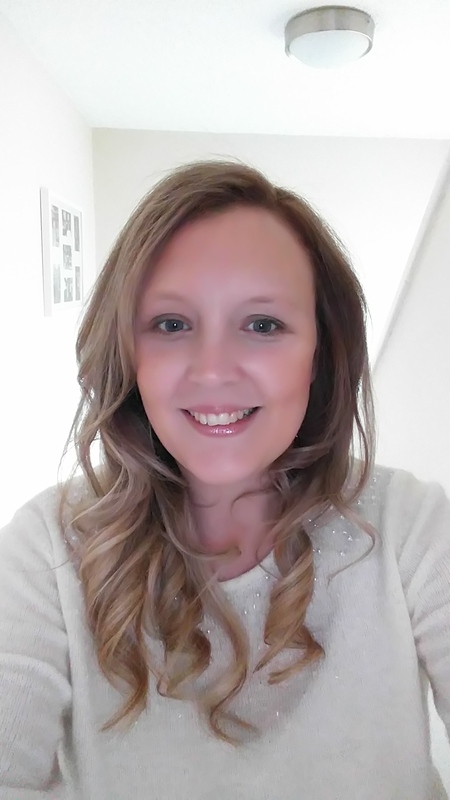 It’s the right combination between having lots to do but not being too big, so you don’t necessarily have to take a buggy for toddlers unless you know they’ll get tired. 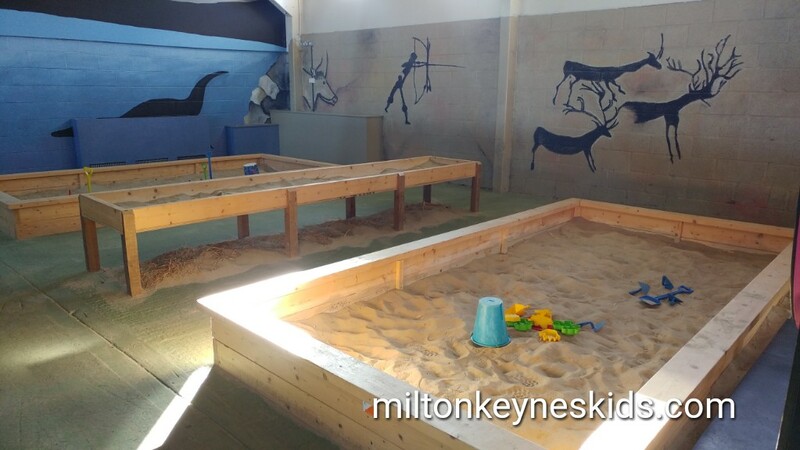 There is both a cafe and a restaurant, but looking to keep costs down we took a picnic – you can eat your picnic outside or the indoor area where the sandpit is (not where the softplay is). If it’s wet then like anywhere with fields it’s worth taking wellies. I’d also take some spare socks and clothes if it’s damp just in case they get wet in the sand or on the bouncy pillow. I’d say it’s relatively accessible but the outdoor play is just on grass. You can find out all the latest information about the farm on their website. We enjoyed Green Dragon Eco Farm, where else can we go? 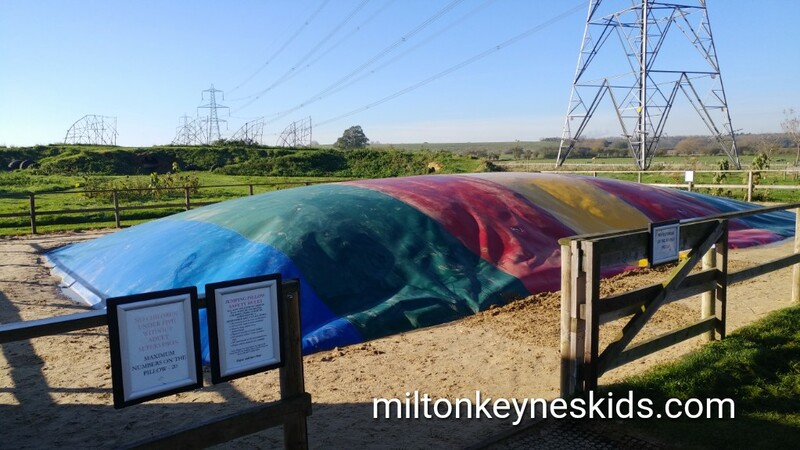 Have a look at both the country parks section and farm parks section of my blog for more fun days out.